[2018 Update]: Hershey's has upgraded this flavor to Oatmeal Cookie Craving. 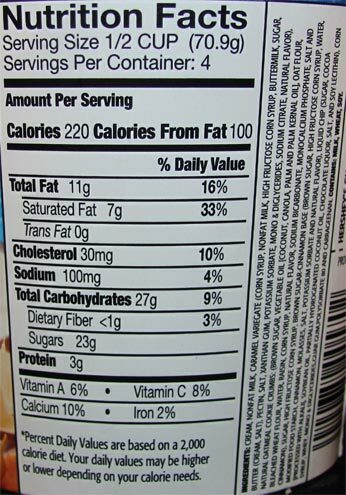 It has the same basic ingredients though something has changed as the nutrition facts are a little lower. [By Nick] I might have cried tears of joy when I spotted this limited edition pint from Hershey's at the Niskayuna Co-op. Just as a I mentioned in my last review, I missed out trying this flavor's Ben & Jerry's equivalent. 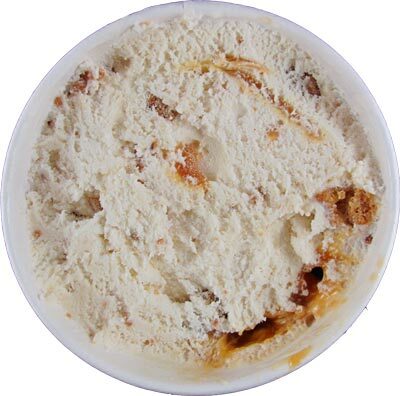 There has been quite the uproar over Ben & Jerry's sending Oatmeal Cookie Chunk to the graveyard. I can't blame them because from all I've heard and the description of that flavor, it just sounds amazing. I honestly don't even believe I ever even saw it in a store around me while it was still alive either. Thankfully, Hershey's has brought to the market what could be a worthy replacement. This one looks promising. There seems to be more caramel then their Salty Caramel Truffle flavor and the cookies look ample. Digging in, this ice cream might be my sleeper pick for best limited edition of the year. While Hershey's consistency isn't as dense as I'd like for a pint, it's still a notch above your mainstream ice cream. The flavor however is everything I want it to be. It's cinnamon dominates with hints of brown sugar on the end. 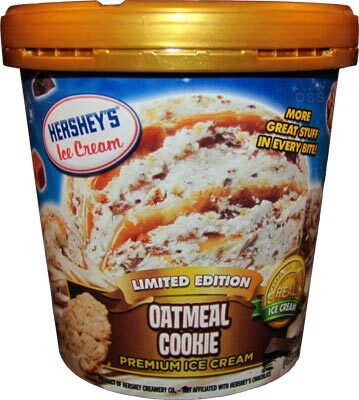 The ice cream itself actually tastes like an oatmeal cookie. Add in the chunks of actual cookie and the taste and texture are spot on. 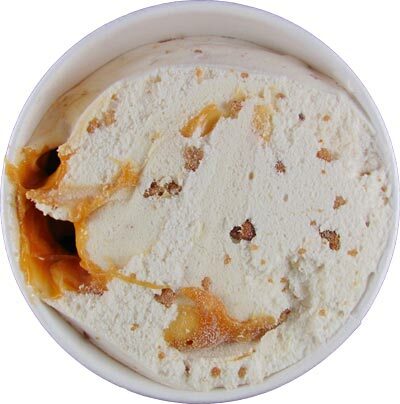 Like I mentioned, the caramel is more abundant in this pint. It's still injected instead of actually swirled which is something I don't really like. That said, when you hit a pocket of caramel and cookie, you have a blissful bite. Thankfully Hershey's didn't skimp on either component because I felt like I experienced sheer bliss for at least 80% of my pint. That said, the chocolate chips were nowhere to be found. I'm not sure if they were in the cookies themselves or got obliterated when being mixed. I can honestly say I didn't sense their presence in anyway possible. That might be a good thing though because I feel like they would've been out of place otherwise. While I can't compare this to the late Oatmeal Cookie Chunk, I can say if you're looking for a replacement, look no further than a pint of Hershey's version. Even if it doesn't live up to Ben & Jerry's, this could easily be in my Top 5 of new products come the end of the year! I am very jealous you got to try this one! I am one of those people still grieving over the untimely demise of B&J's Oatmeal Chunk Cookie. It was definitely their best. Glad you enjoyed this one Nick!